Never Worn! 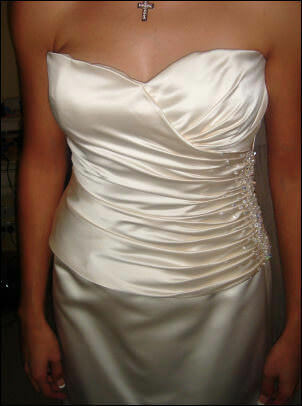 Beautiful hand beaded bodice, side of gown and scattered throughout bodice. Lace up back with modest panel, single tier veil included. Flower girl dresses also available size 5 & size 1.